After spending time in the Amazon in the magnificent State of Wonder, Ann Patchett comes home in her latest novel, Commonwealth. The book at first feels like an example of the old Tolstoyan cliché that all unhappy families are unhappy in their own way. Not that the families in Commonwealth are unhappy, per se, but they are complex. And while at first blush their members seem to fall into identifiable types, nothing is that simple. Commonwealth opens at a christening in 1964. Policeman Fix Keating is celebrating the birth of his second daughter Frannie, little knowing that this party will bring with it a seismic upheaval not only to his life but the lives of two families. Attending almost by accident while trying to escape his own wife and children, Bert Cousins catches sight of Fix’s wife Beverly and the rest is history. In a sometimes circular fashion, Patchett traces the lives of the six Cousins and Keating children who ended up spending summers together in Virginia as they grew up until a tragedy throws them all apart. Patchett’s strength in this book is charting the growth of these characters. All of their life choices and decisions are informed by character and circumstance and yet none of them follow what could be a clichéd path. The drama emerges from the relationships and their ties to a past which flows naturally in and out of the narrative. By skipping back and forth through time Patchett sketches their lives as she effortlessly shifts from a raucus gin-fuelled party in the 60s to a present day cancer ward and chemotherapy session to childhood summers filled with unknown dangers. The central driver of the plot is Franny’s relationship, in her twenties, with Leo, a famous ageing novelist, who uses her family secrets as the basis of an award winning novel. Through this device, Patchett not only explores the step-siblings’ relationships but also comments on how life informs art and the moral grey zone of turning true stories into fiction, no matter how good that fiction might be (later in the story the book becomes a movie creating a further remove for those who were its actual protagonists). Part of this thread is an extended section in which she pokes fun at the posers and hangers on that make up the American literary scene. Commonwealth is a strange type of page turner. 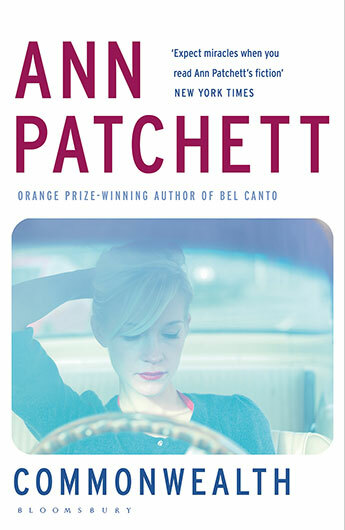 There is no action as such and little in the way of plot but Patchett manages to create such a connection to and interest in these characters that it becomes urgent to find out what happens to their lives. There is no particularly spectacular action but all of it is wonderfully observed and totally engaging. And when the end finally comes it comes with a regret that we did not get to spend more time with the extended Cousins and Keating families (by which time they have extended even further).